In the latest series of my weekend posts. 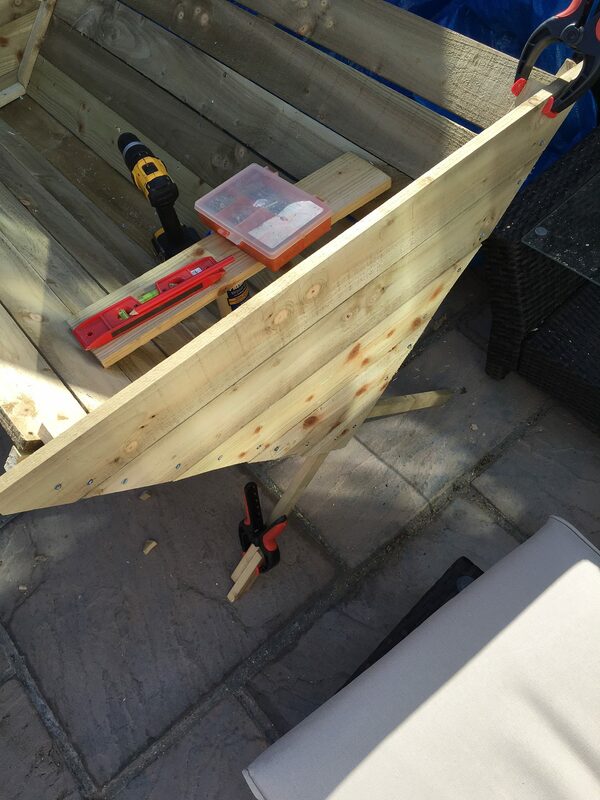 This time we look at making a garden planter or vegetable trough. A friend asked me to make them one for the garden, when doing my research it turns out these are fairly expensive. I looked around for some designs and inspirations and decided to form an “X” shape planter. 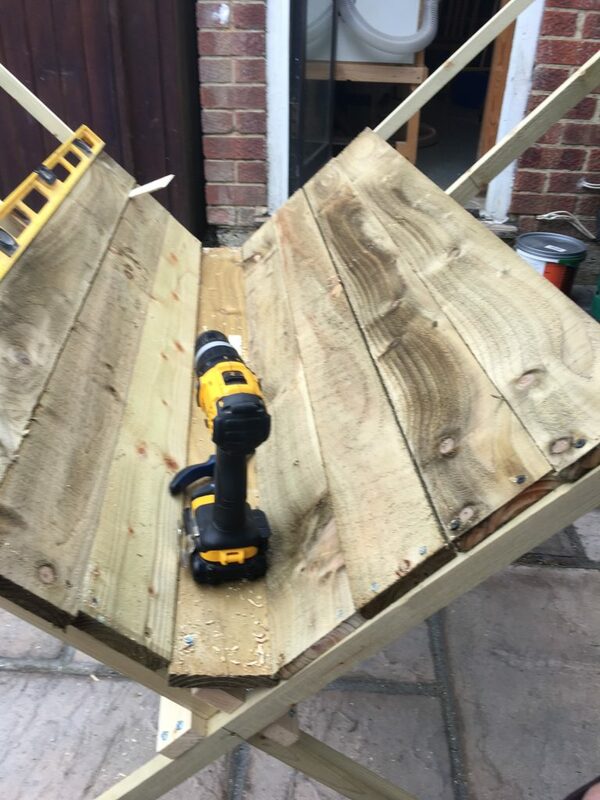 I made this planter from swan treated timber I purchased from Wickes (see below). The bottom of the legs I cut with an angle of 30 degrees (but this should have been 45 degrees) and was fairly simple to build and assemble. Bear in mind I am not a carpenter or a skilled DIY’er I am just learning as I go along. These type of planters within the UK can cost upwards of £150+ and in total the project cost for the material came in around £90. 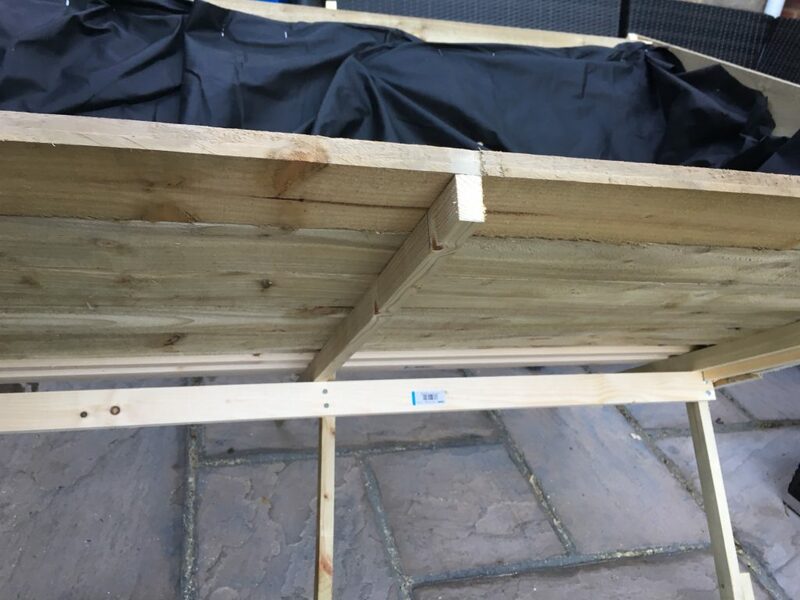 As normal the timber was purchased from Wickes and I lined the planter with some left over weed matting with a number of drainage holes made at the bottom. Working of small rough plans one problem I could not work out was the correct angle of the legs. I used a framing square attached to each leg to gain the correct angle. I decided to have three supports on the side braced with a number of battens towards the bottom. 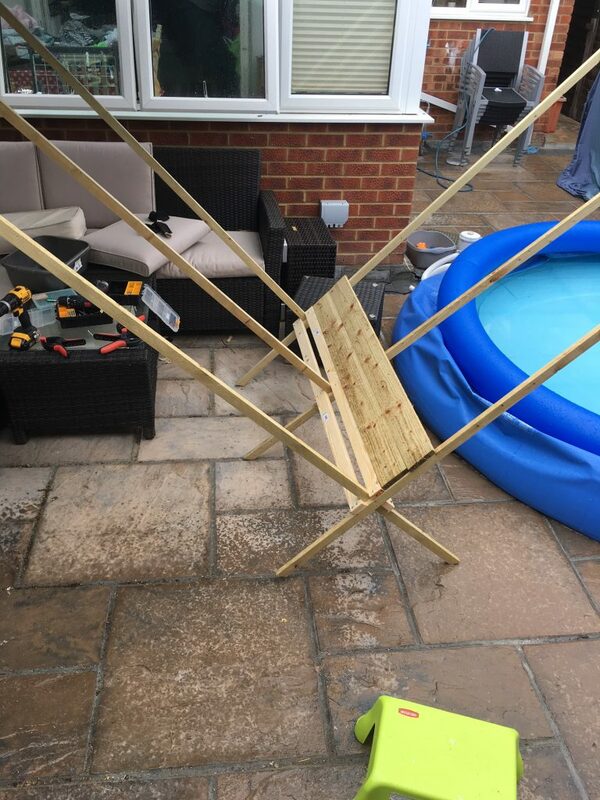 Installing the sides was a straight forward process ensuring to leave a slight gap between the sides. For each end I used the same timber as the sides (19mm x 100mm timber) angled at 45. In the picture above I had to make a small fix to one of the legs to stop the planter from wobbling.